Once again at London Fashion Week Christopher Bailey wowed fashion- lovers everywhere with his Burberry Prorsum collection. But if you can’t quite afford the designer brand, Models Direct explains how to get the Autumn/Winter 2010 Burberry look on a budget. Military. The military trend from spring and summer shows is set to continue into the winter. Burberry has a history of involvement with the armed forces and this was prominent in the ‘salute to the services’ themed collection. The trend can be achieved with jackets featuring gold buttons, numerous buckles around the sleeves and zipped pockets. Jackets also had zips around the waist to crop the jackets into shorter versions. For women, jackets were either worn open and oversized with large shoulders or trim and tailored, nipped in at the waist. Colours. The colours on the catwalk were all kept quite murky with greens, browns and navy being most prominent. However, things were brightened up with rich purples, vibrant blues and bright mustard shades. Boots. Over-the-knee boots is obviously another trend that plans to stick around, with Burberry’s being thigh thigh-high, pointy-toed and in snakeskin effect. If this is a bit too daring for you, sheepskin-lined buckled boots were also seen on the catwalk in knee and ankle lengths. No doubt there will be some much more wearable versions in the high street when autumn rolls round again. Lace Lace-up boots were also a popular choice for the menswear. Fabrics. Fur, sheepskin and leather were prominent features on the coats on the catwalk, but Models Direct recommends you go faux if you’re thinking of wearing fur. The bulkiness of these bulky fabrics were contrasted and feminised with delicate lace and satin. All in all the Burberry collection was attractive and wearable and one that Models Direct feel will be easy to emulate for autumn and winter. The time has come to cover up and don your hat and scarf. However, many of us struggle with hat trends – where do you start? A hat can completely change your look, as well as keeping you warm, so here are a few tips on hot hat looks this winter from the Models Direct team. Great news! Big, warm, comfortable fur hats are in – and you don’t have to condone killing animals to wear them. Faux fur is out in full force, so grab yourself the ultimate hat for warmth and comfort. Anyone can wear them and you can even get away with earflaps this season! Berets appeared on Armani, Missoni and Ann Sui’s runways this year, so wear yours with pride. They look great in knit or velvet and will brighten up any day. Ladies, don’t be afraid of embellished, beaded or feathered hats. They can be worn to glam up an outfit and look fabulous. Vivienne Westwood featured some gorgeous beaded hats in her shows this year, to great effect. Bright headgear will lift your spirits and those of people around you, so embrace this trend for winter and take a leaf out of designer Michael Kors’ fashion book. Leather hats are the most weatherproof of all, so if it’s raining you can’t go wrong with this edgy option. Wear them with a peak to stay dry and look great. A perennial favourite. Woollen hats such as beanies are flattering on most people and offer both comfort and warmth. Pair with your favourite scarf and team the look with a casual or sporty jacket and jeans. For many women these days a huge percentage of our time is spent at work. Those of us who get to choose our work attire should not underestimate the power of the image we portray. The way we look at work will undoubtedly have a direct influence on our networking opportunities, the relationships we make with our peers, and may even determine how seriously we are taken by our superiors. Dressing for the office can be a daily challenge, whether you are hoping to get a raise, catch the eye of a colleague, or clinch that deal with a tricky client, your image choices are constantly influencing how successful you are at work. In this article we would like to share some tips on how to get the most from your wardrobe and help you move on in the work place. It is well documented that 50-75% of all our communication is non-verbal, the majority of the rest is visual, with attire and body language coming high on the list! If you are feeling confident in your look then your body language and posture will naturally be greatly improved, this should prove a great way to start making the most of your image at work. Whatever your current style says to those around you, for most of us there is room for improvement, even if you are a model employee! Plan ahead: Come on girls, get organised! Decide on your outfit the day before work and preferably have it laid out ready to put on in the morning. This will not only ensure that you avoid those last minute bad choices but will also make your morning far less stressful. Iron it: There is no excuse for looking like you’ve just woken up in today’s outfit and rolled in to work. Ensure that your clothing is washed and pressed before you leave the house. Keep it classic: Classic lines create a timeless and stylish silhouette and we recommend them as a fantastic way to project a professional, competent and stylish appearance. Traditional colours: Combine use of traditional and neutral colours as a basis for your working wardrobe. Navy is associated with trustworthiness, grey is conservative, black with chic, and white will compliment any of these. Remember that black and navy should never be worn together! Introducing other Colours: Introduce other colours into your look if you feel confident to do so, with a (preferably structured) handbag, or some appropriate heels. Pastels and neutrals are safest, but, if you think you can pull it off, an accessory in this season’s berry shades could look fabulous. Brights and prints can be harder to adapt for office wear, so choose wisely and please remember that red can appear aggressive or confrontational. Attention to detail: Style your hair, look after your nails (varnish with a clear or neutral polish), keep your shoes clean, accessorise carefully with a statement necklace or ring to acknowledge the latest trend, carry spare hosiery to avoid unsightly runs (a great tip is to spray hosieries with hairspray before wearing, which will actually protect against runs). Emergency make up kit: Your favourite make up wipes, concealer, mascara, eye pencil, lip stain/gloss, blush – as compact as possible and kept in a washable bag for hygiene. And once you’ve mastered the art of office chic, all you will have to worry about is making sure you have enough time for all the new engagements you will be involved in! The problem with high street fashion? Everyone ends up wearing the same thing! The Models Direct team love vintage style, but it can be a hard look to get right, especially if you’re trying to find a real bargain! 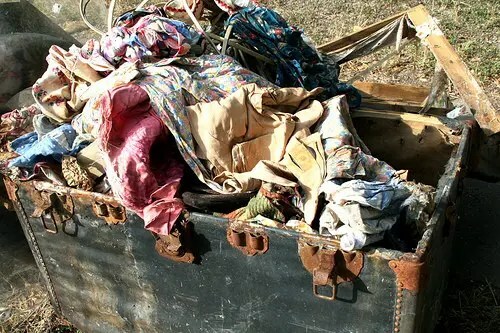 Here, we give you some ideas for the best places to go to get your vintage wardrobe staples. Vintage fairs. Dedicated vintage clothing fairs and markets are a great place to start, and you might get to learn a bit about the history of what you’re buying. Models Direct recommend The Affordable Vintage Fair, which has just started a tour of the UK. Charity shops. If you like a bit of a challenge, scour your local charity shops. Charity shop shopping is also a great way to create something original. What with the recession, clothes modification is becoming much more popular and it’s a great way to inject some more of your personality into what you wear. Be warned, once you’ve found one fantastic garment or accessory it could turn into a bit of an obsession! If you love designer clothes but not their prices, check out Oxfam’s new chain of boutique stores around London, and soon to expand to other major UK cities. Obviously the designer ranges are more expensive than the usual charity shopper will be used to, but it’s a fraction of what it could cost new! The boutiques also stock ethically produced and customised clothing. Car boots and jumble sales. 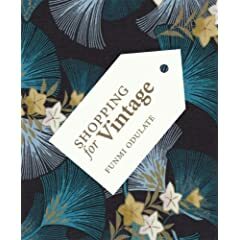 A great place to practice your haggling skills, and with any luck you’ll find a seller who doesn’t know that they’ve got a vintage gem so you can barter a bargain price. Arrive early so you can be sure to see everything that’s on offer and, if you really like something, don’t take too long pondering whether to buy it. Don’t you just hate it at car boot sales when you see someone walking around clutching something you almost bought? Check the internet and local papers to find out when these events are taking place. Online stores. Shopping for vintage clothing online can be a bit of a risk but you’ll be able to find a huge variety. Using online vintage stores could be the way to go if you have a specific decade or style in mind – try eBay as a starting point. Make sure you know your measurements (not just your dress size), examine the garment to check for any damage and print the product information as something to refer to when it’s delivered just in case there are any problems with it. Vintage shops. There are different types of vintage shops that will cater for small or large budgets. Even if it’s one of the more expensive shops, be sure to check the garments for any wear or damages. They should have somewhere for you to try things on, make sure you do! Now you know where to look for your vintage wardrobe, look out for Models Direct’s advice on what pieces to go for, the timeless fabrics and what to avoid!